That’s what I aspire to. I aspire to be a woman who can not be contained. I want to be a woman that constantly strives to know herself, and moves through the world in a way that is true to how she defines herself. 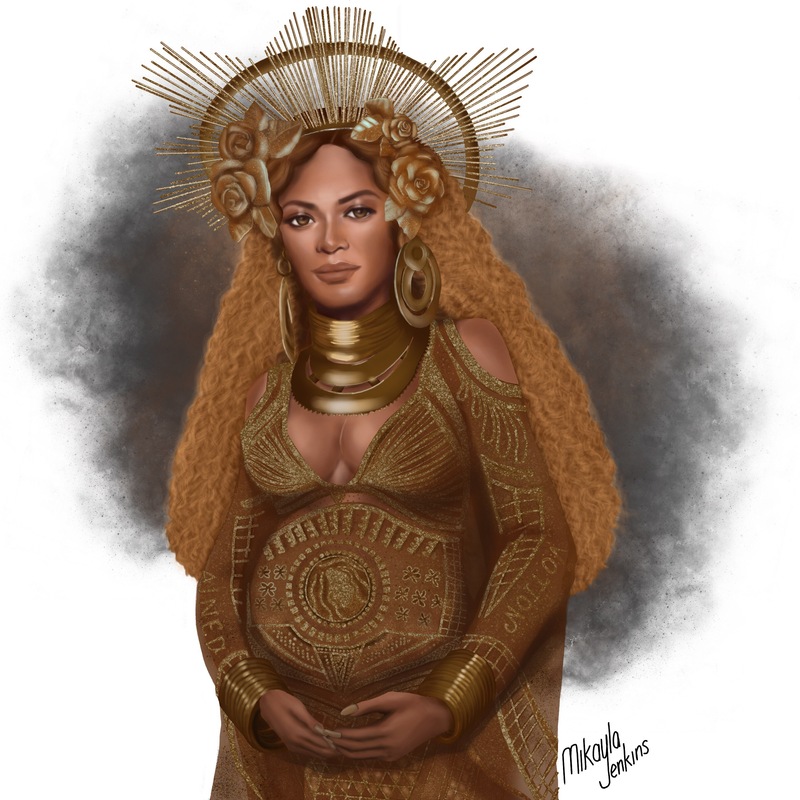 I was so inspired by Beyoncé’s Grammys performance. Anytime I watch her perform, I’m in awe of her talent and all the hard work she puts into her craft. This particular performance not only showcased her talent, but was also a celebration of who she is right now in this season of her life. She did not try to minimize or draw attention away from her pregnant belly. It was not a performance by a talented performer who just happened to be pregnant. Instead this was a performance that reveled in the magic and power of a woman in the midst of her pregnancy. This beautiful gown, designed by Peter Dundas, didn’t serve to hide her pregnant belly. Instead it highlighted it. It was a celebration of the female form, without objectification. It was beautiful, strong, and vulnerable. Uncontained. Beautiful painting and beautiful words.